Drones in Mining: The Future of the Mining Industry? 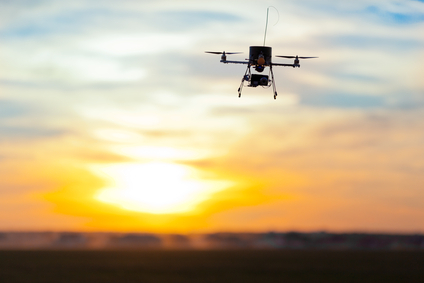 The future is here, and the drones are driving. In Australia, hundreds of driverless trucks haul iron ore from mines. At the same time, company headquarters use touch screens to monitor operations worldwide. Drones are capable of exploring areas no human could safely reach. They come equipped with scanning and analysis technology, lower costs, and robotic accuracy. And they are transforming the mining industry. In many cases, using drones keeps employees safer, by saving them from dangerous and sometimes mind-numbing tasks. By assigning monotonous work to robotic drones, companies can use their personnel resources for more important projects. In Canada, many companies use drones or robotized drilling rigs to blast ore free. Human workers are responsible for planning the dig, and loading instructions to the drilling rig. An operator stands by to make sure nothing goes wrong, but the drilling is all automated. Long-hole drills take the place of rote work, drilling rod-to-rod without the need for human involvement. It saves an operator the dull business of loading a new rod over and over, with little break in their schedule. One of the earliest forays of automated robots into the mining industry was to help clean up the highly-irradiated Three Mile Island. To keep people away from the high levels of radiation, recovery teams sent in robots equipped with video feeds and the ability to bring back valuable information in the form of core samples. Other robots handled cleaning, tearing apart walls and scrubbing debris. Not yet completely automated, shotcrete sprayers spray their reinforcing concrete without human interaction. A human operator is still needed to get the spray boom into mines, but from there, the sprayer works automatically to ensure an even coating on the mine walls. Where there are human limitations in terms of working angles and tough-to-reach spots, robotic sprayers have much greater flexibility. Driverless trucks take a boring job and automate it. Your average haul truck driver might work 12 hour days driving back and forth, and as they tire and get bored, they become more likely to be involved in an accident. Robots stay alert all day long, which can save lives. So far, only a tiny fraction of hauling trucks worldwide are drone-operated, and Canadian and American mines have yet to try out driverless trucks. One hesitation is due to the cost, as a new automated hauler is 3 to 5 million dollars to purchase. When the alternative is employees who have relatively cheap wages, the switch is hard to make. But in certain countries, like Australia, driverless trucks are replacing their human-driven counterparts quickly. Australian Rio Tinto’s driverless trucks have already moved 140 million tonnes of material. An obvious use for mining drones is in surveying; using lightweight unmanned aircraft to get the most out of land. One reason drones are used in surveying is because they’re about 90% less expensive than using a manned helicopter. Another reason is their ability to map a variety of terrain by flying close to the ground and gathering more data than workers in helicopters are able to. Additionally, drones are capable of surveying even in cloudy conditions so no time is wasted waiting for particular weather conditions.